The 86th Annual Academy Awards have now come and gone! I thought Seth MacFarlane – the previous Oscar host – was the best in years, but he received a controversial mixed reaction for his bawdy jokes and inappropriate skits during the 2013 ceremony. Personally, I much prefer someone who will take chances and get people talking. Even though we all love the Oscars, let's face it, the whole thing can often be dull and overlong. A wild card like MacFarlane made the never-ending evening much more memorable. But the Academy apparently disagrees. This year, they're playing it safe with Ellen DeGeneres. Then again, the fact that an openly gay entertainer like Ellen is now considered "playing it safe" shows how far we've come. That's a good thing. Besides, who doesn't love Ellen? I am happily hoping she will exceed my expectations and surprise me. I don't care who wore what. Find a fashion blog – they'll have you covered. I'm all about the movies. But in case you care: Silver Screen Sister said Cate Blanchett was the best-dressed because she had on a beautiful diamond outfit. Cate: a winner on the red carpet and – maybe – at the Oscars! The Oscars are about to begin… I have my bag of popcorn ready. The Academy Awards are Here! Ellen is off to a good start with several great one-liners and zingers. I laughed constantly at the beginning. Very touching speech by Jared Leto. Funny forced smile by the Somali actor from "Captain Phillips," Barkhad Abdi. But I can't blame him for being disappointed. Who wouldn't be? I hate the filler on these Oscar shows, particularly the various highlight reels and live songs. Aren't the Academy Awards already long enough as it is? But this is hardly a new objection – it's the same ol' same ol' every year. So glad "Dallas Buyers Club" won for makeup. It was an incredible what they did with a $250 budget. Yes, you read that right! Poor Bradley Cooper. The joke with Ellen giving him a scratch lotto ticket so he'd win something tonight seemed to hit him a little too close to home. It was very cool to see Kim Novak of "Vertigo" fame up on stage. Kudos to the "Frozen" team for letting everyone who won for Best Animated Feature actually speak. I hated the recent trend of only one person in a group of winners speaking for all. I don't know if the rule changed or if the "Frozen" crew emboldened others to follow their lead. Either way, I'm glad. Classy speech by Lupita Nyong'o from "12 Years a Slave." Ellen's gags – such as the pizza delivery bit – were all incredibly hokey, yet also quite endearing. Nice shout-out to the late Harold Ramis by Bill Murray during the Cinematography Award. With "Gravity" winning so many awards, Silver Screen Sister feels like she can go to sleep and not miss anything. We'll see. I love Whoopi. That's all. Did Bette Midler get cut off at the end by a commercial? If so, that's a shame. The "In Memorium" video tribute was once again very classy, and Midler's beautiful rendition of "Wind Beneath My Wings" was the perfect way to honor them. Jamie Foxx was awkwardly hilarious in a seemingly unplanned moment, pausing inconveniently at the word "blow" before concluding with "your mind." "12 Years a Slave" writer John Ridley delivered what might be my favorite Oscar speech this year – and Robert De Niro's introduction about the craft and pain of writing was pitch perfect. I couldn't quite bring myself to love "Her" but I'm glad to see originality get rewarded. Awarding Spike Jonze the Oscar for Best Original Screenplay was the right move. Silver Screen Sister about Cate Blanchett's acceptance speech: "Sandra was crying, either because she lost or because that speech bored her to tears." Ouch! But, hey, at least Cate looks great in a dress (according to Silver Screen Sis) and commands the screen no matter what she's wearing. Matthew McConaughey's speech was certainly a bit strange, but it was also very memorable and heartfelt. His win was a given but completely well-deserved. I was rooting for him. There were really no huge surprises at tonight's ceremony, but that's okay. 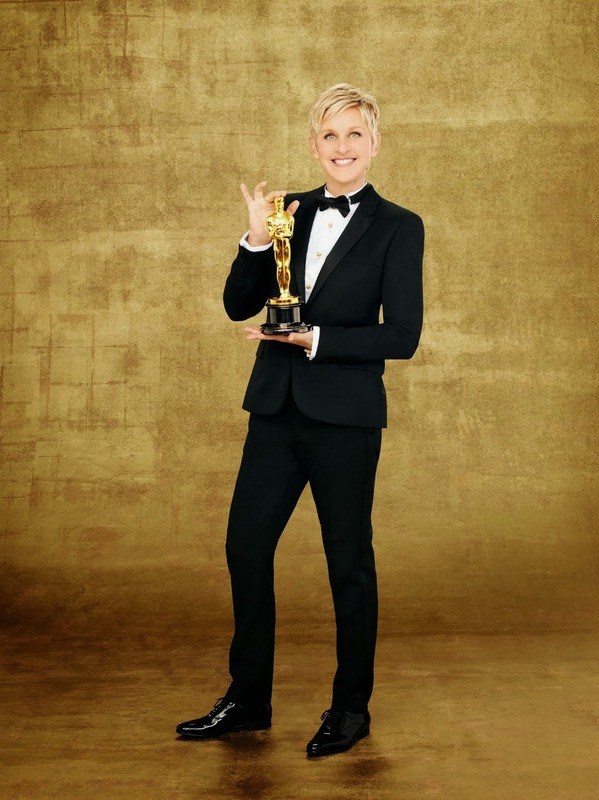 Overall, Ellen was a fun, lively, and entertaining host – but the ceremony itself felt too long, too dull, and too self-congratulatory. It seemed that every other speech was dedicated to the victims of AIDS/slavery/fill in a cause here. I'm sure everyone was very sincere in their sentiments, but it became too much after a while.